Cash Same Day takes pride in offering a much needed FREE referral service to online consumers searching for loans. In fact, this website’s only goal is to match you with a suitable lender from our vast network of trusted and reliable short-term lenders. Qualifying is easy - Just be over 18 and make over $1000 each month. Your money is deposited into your bank account within one business day and you are never under any obligation until you accept a loan. Please borrow responsibly. Please enter zip codePlease enter valid 5-digits zipcode.This zipcode does not exist. Our 100% online application takes just a couple minutes to fill out. Based on your information and lender requirements, we will match you to a participating lender. Review loan terms and get your cash within one business day. CashSameDay.com is not a lender and does not broker any type of payday advance loans. The decision to borrow money is always a serious one. We encourage consumers to consider the risks associated with short-term loan borrowing and also to investigate all other means of obtaining emergency cash funds. Payday loans are designed to be used by consumers for unexpected financial situations which arise and for which there is no other alternative borrowing option. Payday loans should never be considered as a solution to long-term financial debt problems. In truth, they can make a bad situation much worse for the borrower. Please remember that CashSameDay.com is not a lender. Our only goal is to successfully match an applicant with an appropriate payday loan lender. Not everyone will qualify for a payday loan and acceptance is never guaranteed. Applying for a payday loan by no means indicates that you will be approved. Here we offer answers to many of the most commonly asked questions regarding payday loans. Cash Same Day understands that financial emergencies happen. We take pride in offering a much-needed referral service to consumers who are searching for online loan options. We provide this service completely free of charge. This website’s only goal is to match an applicant with a suitable lender from our vast network of trusted and reliable short-term lenders. What sort of cash loan is this? The popularity of cash loans has greatly increased over the past few years mainly due to the sluggish economy and the fact that banks and credit unions have tightened their lending standards. Many people who in the past could qualify for a personal loan from a traditional lender can no longer do so. 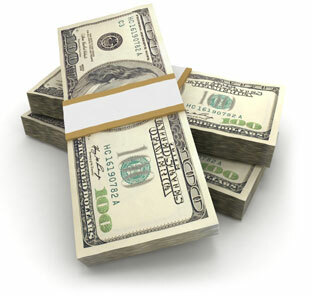 A cash loan is a short-term loan meaning that the repayment time is usually just two weeks (or the next payday). Loan amounts generally range from $100 to $1000 with the average loan being around $300. Consumers can borrow this money quickly and easily online without having to fill out reams of paperwork or waiting days or weeks for a loan approval decision. The operator of this website is not a lender. CashSameDay.com simply provides a free referral service to consumers who are looking for online loan options. Not every lender offers the maximum amount of funds ($1000). Applying for an online payday loan does not guarantee acceptance. All lenders determine the terms and conditions of a loan contract independently. This website plays no role in the approval process and has no influence in the final decision. Active-duty members of any branch of the U.S. Military and residents of GA, NY, MA, VA, and WV are prohibited from applying for payday loans. Please remember that applying for a payday loan does not guarantee that you will be successfully matched with a lender or be approved for a payday loan. There is also no guarantee of the amount of funds you will be approved for, if any. Lenders make the approval decision based on the information which an applicant provides. CashSameDay.com makes no lending decisions and has no role in the approval process. How much do these loans cost? What are the Annual Percentage Rates (APRs)? CashSameDay.com sole purpose is to provide a referral service for consumers who are looking for online loan options. We are not a lender. This website charges no fee for this service. Every lender in our network independently determines the fees, terms, and conditions of each loan they approve. This includes repayment terms, fees, penalties, and interest rates. Due to the convenience of payday loans, consumers can expect to pay higher APRs and fees. These conveniences include very little paperwork, less-than-perfect credit allowed, fast cash transfer times, and quick approval decisions. Where can I find the application form? What do I have to do to apply? The application form can be found on our secure website. CashSameDay.com has kept the entire application process simple and easy to understand. Normally it takes only a few minutes to fully complete the form and have it ready to submit. This website collects an applicant's personal information and then shares it with one or more lenders in our network. Remember that this website is not a lender. All information which an applicant provides is strictly voluntary. To avoid delays in processing a loan application, it is important to give information which can be easily verified (name, address, phone numbers, email) and which is honest and correct. This website is obligated to comply with the U.S. Patriot Act and therefore must collect an applicant's date of birth and social security number. Consumers should be aware that it is a crime to knowingly give false information on any loan application. CashSameDay.com is not a lender. This website does not broker loans or make any lending decisions. Once an applicant has completed the secure online application form and submitted it, CashSameDay.com then shares this information with one or more lenders in our vast network of payday loan lenders. Lenders normally do not consider applications which contain unverifiable personal information so it is important to fill out the form completely and accurately. Every lender makes the approval decision based on their specific standards and requirements. This website is not a lender and does not play a role in the approval process. Not all applicants will qualify for a payday loan. Lenders will generally consider an applicant's current level of income, credit history, and amount of outstanding debt when determining a loan amount to approve. There is no guarantee for what loan amount an applicant will be approved for, if any. The approval process normally takes less than two minutes. Do lenders check credit reports? Many times, lenders will run routine credit checks to establish an applicant's credit history. However, having a poor credit score or credit history does not necessarily disqualify an applicant. Lenders want to see if an applicant has successfully repaid any previous loans and also if there are any loan defaults. CashSameDay.com is not a lender. This website does not broker loans or offer consumers any type of credit. We have no affiliation whatsoever with any of the products or services offered by payday loan lenders in our network. This website provides a free referral service to consumers who are searching for online borrowing options. CashSameDay.com is not a lender. Cash transfer times vary among lenders. Not all lenders offer one hour cash transfer times. If a lender does offer this expedited service, an additional fee is normally imposed. Cash transfer times can also depend on when you are approved for a loan (time of day, day of the week). Most loan proceeds are transferred into an applicant's banking account within one business day. Weekends and bank holidays can affect cash transfer times. To avoid delays in receiving the cash funds, consumers are encouraged to submit their applications during regular banking hours, Monday-Friday. What happens if I can't repay my loan when it is originally due? CashSameDay.com is not a lender, does not enforce payments and cannot provide renewals or extensions. Any questions or concerns about your loan should be directed to your specific lender and not the operator of this website. Repayment terms, including extensions, vary among lenders. CashSameDay.com urges all consumers to fully review and understand their loan agreement before committing to the loan. Lenders are required by law to fully disclose all rates, APRs, repayment schedule, terms and conditions of a loan to an applicant before asking them to sign the loan contract. It is the borrower's responsibility to read the loan agreement and understand everything it contains. Partial and Late Payments - Additional fees and collection activity may result if amount of principal and interest is not paid in full by the agreed-upon payment date. Before signing your e-signature page and thereby agreeing to the terms of your loan, make sure to review the late payment policy of your lender in their loan documents. Renewals and Extensions - Specific lenders have their own renewal policies and which may vary. If you wish to extend a loan until your next pay date, an "extension fee" may be assessed by the lender. Not all lenders offer extensions and some states strictly forbid them. Non-Payment Implications - Additional fees may result and possible legal action if you fail to pay your loan according to the terms and conditions stated in your loan contract. Collection Activity – Collection practices of lenders and/or assignee(s) to arrange payment will be in accordance with the principals of any application federal regulations at all times. This communication includes one more authorized methods, including email, mail and phone calls. Credit Impact – Delinquent activity, loan defaults and late or missed payments may be reported to credit agencies which could negatively affect your credit rating. Payday loans are classified as short-term loans because they are meant to be fully repaid within two weeks (or the next payday). If you have any doubts about being able to repay your loan within this short period of time, we strongly suggest that you investigate other borrowing options. Consumers with credit difficulties should seek help from credit counselors. What if I'm approved for a loan but change my mind? Until you officially sign your loan agreement (electronically or otherwise) you have every right to decline a payday loan offer from any lender. You are never under any obligation to accept a loan offer, if approved. You will not be charged any fee for refusing a loan. If you are not satisfied with the terms and conditions of your loan, you may simply refuse to sign the agreement. Taking on new debt is always a serious matter. CashSameDay.com urges all consumers to give thoughtful consideration to their own personal financial situation before committing to a payday loan. Short-term loans are not a solution to long-term debt problems. Reckless use of payday loans can cause a cycle of debt which is very hard to overcome. We encourage you to always borrow responsibly. CashSameDay.com is not a lender. The operator of this website offers a free referral service to consumers who are looking for online loans options. We do not broker loans or endorse any products or services which are offered by our network of lenders. All questions or concerns should be directly to your specific lender and not to this website. How do I contact CashSameDay.com? Please use our online form to contact us and we will back to you as soon as possible. I just filled out your application and want to contact the lender? How would I do that? For questions regarding an existing loan, new loan application, loan terms, loan repayment and/or renewals, please contact your lender directly. CashSameDay.com is not a lender and does not broker short-term loans. This website collects information which you provide and then shares it with one or more payday loan lenders within our network. Applying for an online payday loan does not guarantee acceptance. Not everyone will qualify for a payday loan. CashSameDay.com provides a free referral service to consumers who are searching for online loan options. The information which you provide on the online application form is on a voluntary basis only. Knowingly giving false information on a loan application is a crime. This website is not affiliated with any lender and does not endorse any product or service which is offered. Every lender makes the approval decision independently based on their specific requirements. CashSameDay.com has no influence in either the approval process or dictating the terms and conditions of any loan. Not all lenders can provide the maximum amount of funds ($1000) and there is no guarantee of the amount of cash funds you will be approved for, if any. Not all lenders offer same day cash transfer times. Payday loans are not available in every state and the list of states allowing online short-term loans may change at any time, without prior notice. Residents of GA, NY, MA, VA, and WV are not eligible to apply. Any questions or concerns related to your loan should be directed to your specific lender. Copyright © - CashSameDay.com - All Rights Reserved.